The iPhone 5 is finally getting to India. Airtel has begun taking pre-orders for the 16GB, Black-colour iPhone 5 on their site. You can place your pre-order here. The starting price for the device is a whopping Rs 45,500, making it much more expensive than the Samsung Galaxy S III which is available on Flipkart for Rs 34,900 and the HTC One X which sells on Flipkart for Rs 34,999. The price of the iPhone was first shared by Redington, one of Apple’s two distribution partners in India. According to Redington, the basic 16GB version of the iPhone 5 will be priced at Rs 45,500, while the 32GB and 64GB devices will be priced Rs 52500 and Rs 59500 respectively. 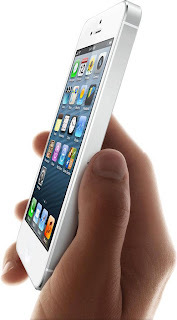 On Friday, Ingram, the other Apple India retailer, had confirmed that launch date of the iPhone 5 as 2 November. Redington and Ingram Micro already distribute iPad and iPods in the country. Both black and white versions of the phone are expected to go on sale. Infibeam is accepting orders for all three versions of the iPhone 5 though only in Black. You can pre-order here. Saholic is also accepting pre-orders for the 16GB version pf the iPhone 5. Apple’s iPhone 5 has been one of the fastest selling smartphones ever, with the company selling nearly 5 million devices in the first weekend after its launch. Key features of the iPhone are: a 4 inch screen with a higher screen resolution of 1136×640 pixel which comes to around 326 ppi. That’s Retina Display quality in the smartphone, same as the iPod Touch, iPad Mini and the 3rd and 4th generation iPad. It has a dual-core A6 chip, an 8 megapixel rear camera with a sapphire crystal lens cover for ‘clearer pictures’ and a 1.2 megapixel front camera. The dock connector is now called Lightning, and is an eight-pin plug.